JC Tran and 888poker are in divorce court, it appears. Tran has been one of the top poker players in the world over the past decade, and it’s likely that he’ll continue that success in the decade to come. But he won’t be doing it as a sponsored pro at 888poker. Tran announced the end of his relationship with 888poker last week, ending a one-year partnership that began as he was preparing for the 2013 World Series of Poker Main Event final table. Tran made the announcement on his Twitter account last Wednesday, and seemed to be leaving on good terms with the poker site and its team. The relationship between 888 and Tran began last year, when Tran was in the midst of an incredible run at the WSOP Main Event. Tran headed into the November Nine as the chip leader, not only making him the most likely player to win the event, but also putting him in what has become a unique position in recent years: a bona fide poker superstar who might also win the biggest title in the game. Unfortunately, things didn’t quite work out that way. Tran wasn’t able to mount a serious challenge for the championship, and ultimately bowed out in fifth place. The $2.1 million score was still excellent by any normal standard, but was probably less than either 888 or Tran hoped to see heading into the final stage of the tournament. Still, 888 benefited from the sponsorship, as Tran put together an excellent year while under their banner. In March, he won the Main Event at the World Poker Tour Rolling Thunder, winning over $300,000 in the process. He followed that up this summer by finishing in fourth place in two different WSOP events: a $10,000 Six Handed No Limit Hold’em tournament as well as a $25,000 Mixed Max Hold’em Tournament, both of which produced six-figure cashes. 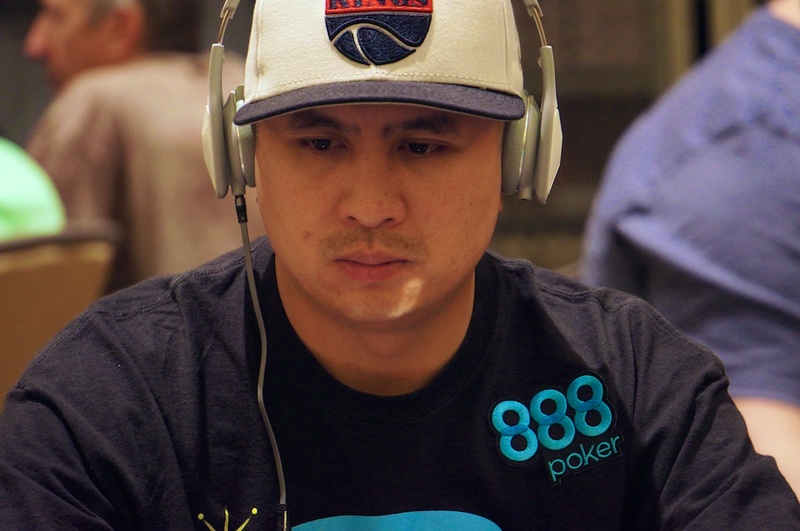 Tran isn’t the only high-profile member of Team 888poker to leave this year. Over the summer, the company decided to part ways with brand ambassador and Uruguayan striker Luis Suarez after he bit an opponent at the FIFA World Cup. In addition, Sam Holden left the team after he decided to scale back significantly on his poker activities while he spent time pursuing a degree in philosophy. To replace Tran, 888 has decided to go back to the November Nine by grabbing one of this year’s final table contenders. They’ve picked up Brazilian player Bruno Foster Politano, who will come into the Main Event final table as the short stack. He’ll join Brazilian poker pros Nicolau Villa-Lobos and Bruno Kawauti as a part of the 888 team. These roster adjustments come at a time when many online poker sites appear to be paring down their stables of sponsored pros. PokerStars’ professional team has shrunk, with long-time member Humberto Brenes being the most notable name to leave the company. Ultimate Poker has also cut down on their sponsorships significantly, recently ending relationships with players like Jeremy Ausmus, Lauren Kling, and Phil Collins.